Sessions are booked to suit the participants, and include lots of tasting and making your own flavoured fresh chocolates. You will also learn some technical aspects and an outline of the specific health benefits of chocolate. Everyone leaves with their own handmade chocolates to enjoy with friends and family – most the time! 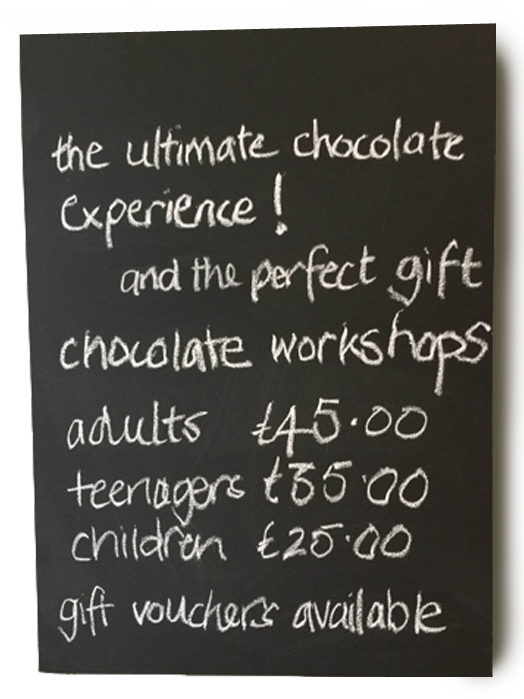 Our chocolate workshops are like no other! They are great for a family day out, birthday parties, hen parties or any other special occasion. Get in touch today to book! Fancy trying some of our handmade artisan chocolates before you learn how to make them yourself? Shop online for all of our fantastic flavours. Gift vouchers for all our products are also available. Or call 01764 663105 for any queries.